John Allen Chau, 27, was killed by members of the Sentinelese Tribes, possibly with arrows, when he tried to enter the North Sentinel Island, on November 17. NEW DELHI: The National Commission of Scheduled Tribes (NCST) Thursday termed as "unfortunate" the killing of a US national allegedly by members of a protected and reclusive tribe in the North Sentinel Island and sought a report from the Home Ministry and the Andaman and Nicobar administration on it. "The NCST expresses serious concern on the report regarding one US national feared killed by a protected tribe in the Andaman and Nicobar Islands," an official statement read. The commission sought immediate report from the Ministry of Home Affairs and the Andaman and Nicobar administration. John Allen Chau, 27, was killed by members of the Sentinelese Tribes, possibly with arrows, when he tried to enter the North Sentinel Island, on November 17, police had said on Wednesday. A case of culpable homicide has been registered, and the fishermen who took to the island have been arrested. The fishermen told police that he had visited the Andaman and Nicobar Islands five times earlier. He had expressed a desire to meet the Sentinelese Tribe, whose name is derived from that of the island they inhabit, Sentinel, which is at a distance of 102 km from Port Blair. 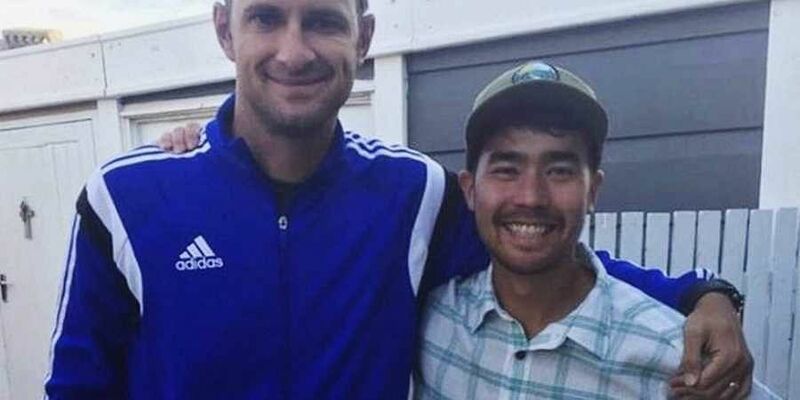 Chau had hired a fishing dinghy from the Chidiyatapu area and reached close to the island on November 16, from where he travelled in his own canoe. He had made a failed attempt to reach the island on November 14 as well, police said. The Sentinelese tribe is known to resist all contact with outsiders, often firing arrows at anyone who comes near. Its people survived the tsunami of 2004 without any help from the outside world. Till recently, the North Sentinel Island was out of bounds for visitors. In a major step earlier this year, the government excluded this island and 28 others in the Union Territory from the Restricted Area Permit (RAP) regime till December 31, 2022. The lifting of RAP meant that foreigners could be allowed to visit these islands without permission from the government. The NCST said that based on a complaint, it had earlier sought information from the Home Ministry and Andaman and Nicobar Islands regarding relaxation of RAP for foreign nationals and tourism development in the Andamans. "The report of the Home Ministry as well as Andaman and Nicobar Islands is yet to be received," the statement said. The commission said it had advised the government to be "ultra-sensitive to the vulnerability of the Particularly Vulnerable Tribes Groups (PVTGs) of the Andaman and Nicobar Islands". The NCST said it had asked the government to look into and stop forthwith "any attempt for tourism development which can create unwarranted and dramatic cultural changes for PVTGs". NCST chairman Nand Kumar Sai had also written a letter to the Home Minister on August 8, requesting him to safeguard the interests of tribals.